In the beginning of 2009, NOCCA returned to EDR, following an initial vision plan completed in 2004, and selected the firm to begin work on a complete campus-wide master plan. 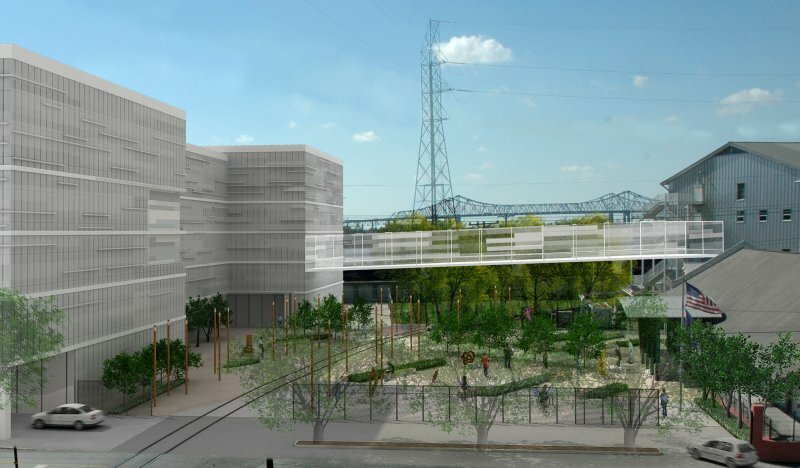 With its Bywater campus on the New Orleans riverfront, the New Orleans Center for Creative Arts (NOCCA) had established an optimal foundation for working towards its goal of becoming the national model of arts education for the 21st century. As NOCCA began moving toward a full-day, diploma-granting curriculum, they sought to develop their core academics in a similar model to that of their arts programs—the practitioner/teacher mentoring the apprentice/student. Eskew+Dumez+Ripple, with its team of specialists, developed a 100-year campus facilities master plan with an eye on this vision. 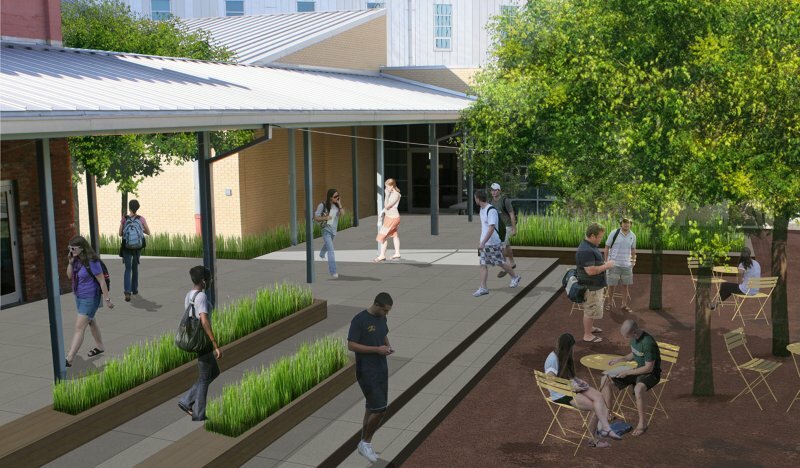 The resulting plan aspires to augment the spirit and character of NOCCA’s existing 130,000 square foot campus, near the New Orleans French Quarter, while addressing the complexities of a growing educational and residential program woven into the historic neighborhood fabric. NOCCA will organize classrooms around Inspiration Galleries filled with elements, objects and ideas that have inspired the faculty and students. Developing classrooms to function more like flexible loft spaces versatile enough to be an artist studio, science lab, or performance space was another key planning strategy to enrich the environment for enhanced learning and retention across the curricula. 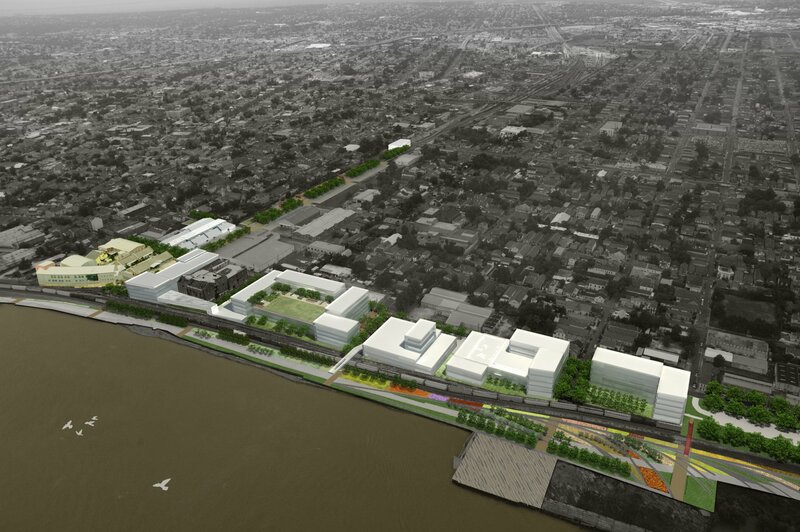 The design of NOCCA’s physical facilities will also incorporate more active exterior spaces so as to embrace the opportunity that the school’s unique riverfront site presents.